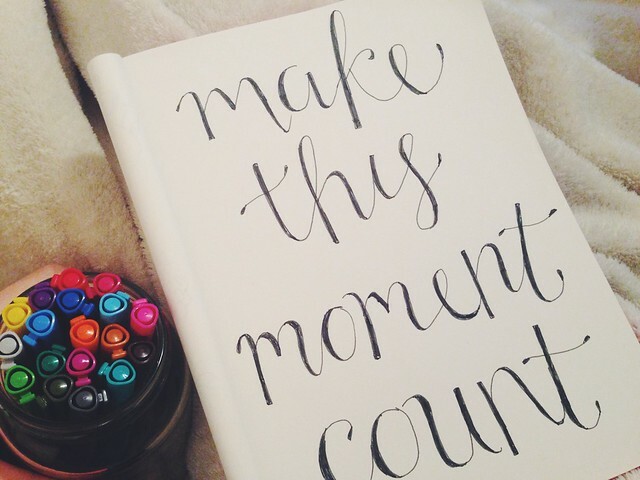 Bee's Circus: Make every moment count. This quote really spoke to me tonight. I'm trying to be intentional about drawing, keeping a sketchbook in my bag and drawing in it as often as possible, like a journal. I used to love drawing, but I've barely had any practice since school, and as it's one of the few things I can do with the boys too I'd really love to devote more time to it. I may have spoiled myself with some new pens from a Black Friday deal too, which always helps! Spending this evening curled up on the sofa, blogging and commenting on blogs, listening to random Spotify playlists. Monday is usually a 'study' evening, so this feels really rebellious but I'm giving myself a little break as we finished the semester last week. I'm determined to sort out our master bedroom tomorrow night, a major clear out and tidy up needs to happen. I'm contemplating a capsule wardrobe for the new year, any advice or tips greatly appreciated. Hey Natalie Jean is my main inspiration (in life in general but that's another story!) plus the whole de-cluttering approach is really appealing to me, especially with all the mess we have constantly lying around!